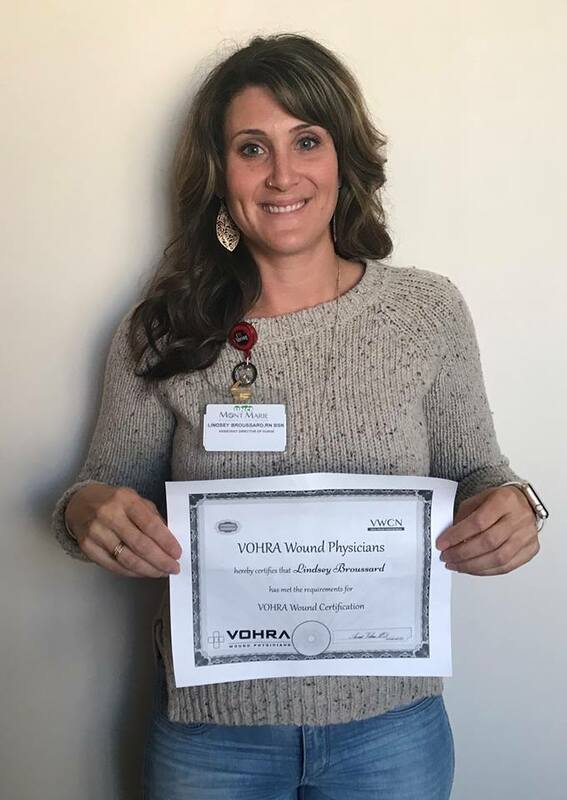 Mont Marie is excited to announce that Lindsey Broussard, RN, ADNS is now Wound Care Certified by Vohra Wound Physicians. The certification is continuing education approved by the American Nurse Credentialing Center Commission on Accreditation. The certification is recognized by the RN licensing Boards nationally as well. Congratulations Lindsey!